PwC press room: What does the future hold for ASEAN? On 12 September 2018, David Wijeratne, PwC’s Growth Markets Leader, will present findings of a PwC report on the future of ASEAN at a press conference at the World Economic Forum on ASEAN meeting in Ha Noi. 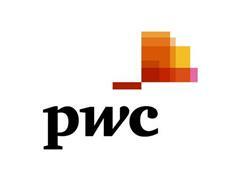 He will be joined by Dinh Thi Quynh Van, the senior partner of PwC Vietnam. The press conference will be webcast live on our website – www.pwc.com/asean – at 15:30 Ha Noi/16:30 Hong Kong/09:30 London/10:30 Paris time. ‘The Future of ASEAN – Time to Act’ focuses on the disruptions facing ASEAN and how governments and corporates can act to ensure future growth through new and innovative strategies across seven sectors – automotive, financial services, consumer goods, medical devices, refined fuels, telecommunications and transportation. ‘The Future of ASEAN – Time to Act’ presents a view as to how ASEAN needs to progress from an era of passive growth, and take more proactive measures to continue to attract investments, develop institutions, and evolve its people and technological capabilities. The private sector will also have a major role to play in strengthening the region’s growth prospects over the coming years, but this will require companies not only to provide new products and services to meet varying consumer preferences, but also to work more closely with governments to develop the right conditions for businesses to prosper. PwC’s Growth Markets Centre is a global team which supports companies as they navigate the ever changing complexities of entering and expanding into and from developing markets. For more information, please contact David Wijeratne, PwC Growth Markets Centre Leader, or visit www.pwc.com/gmc. Download a copy of ‘Future of ASEAN – Time to Act’ here.